(2012.088.46, Lewis A. Danner Collection, OHS). Mayes County is located near the northeastern corner of Oklahoma. Surrounding counties include Craig to the north, Delaware to the east, Cherokee and Wagoner to the south, and Rogers to the west. The topography of the county's 683.51 square miles is divided by the Grand River, and of the total area 27.37 square miles is surface water. The eastern half lies on the edge of the Ozark Plateau, or Ozark Uplift, characterized by flat areas divided by deep, V-shaped stream valleys. The western half of the county lies in the Prairie Plains. The incorporated towns include Adair, Chouteau, Disney, Grand Lake, Langley, Locust Grove, Pensacola, Pryor Creek, Salina, Spavinaw, Sportsmen Acres, and Strang. Mayes County has numerous prehistoric sites, with one Paleo-Indian (prior to 6000 B.C. ), thirty-five Archaic (6000 B.C. to A.D. 1), twenty-five Woodland (A.D. 1 to 1000), and thirty-one Plains Village (A.D. 1000 to 1500). The locations of most of these are confidential, and man-made lakes now cover some of them. Many of the streams' and towns' French names are credited to that country's early voyageurs such as Jean Baptiste Bénard de La Harpe, a French explorer who came to the area in 1719. Early in the nineteenth century French trader Maj. Jean Pierre Chouteau established a trading post near present Salina, trafficking with the Osage who had already located in the region. This was one of the first white settlements in Oklahoma. The state's earliest mission, school, church, and white cemetery were created with the establishment of Union Mission in 1820, five miles southeast of present Chouteau. In 1828 the Western Cherokee acquired this region in present Oklahoma for their land in Arkansas. In the 1830s Eastern Cherokee arrived from Georgia, Tennessee, and North Carolina, their former homeland. In 1835 Rev. Samuel A. Worcester installed Oklahoma's first printing press at the mission. During the Civil War military action occurred in the area. In July 1862 near present Locust Grove a skirmish occurred when Union Col. William Weer and three hundred of his troops surprised a Confederate force of a similar number. Approximately one-third of the rebels surrendered, and the rest escaped. In July 1863 the first Cabin Creek engagement developed as Col. Stand Watie attempted to intercept a Federal supply train traveling to Fort Gibson. Federal Col. James Williams defeated the famed Cherokee Confederate leader, who had expected reinforcements. In September 1864 Brig. Gen. Watie and Brig. Gen. Richard Gano successfully captured a Union supply train near the same location in the second Cabin Creek engagement. This led to a skirmish at Pryor Creek when Col. James Williams force-marched his Union troops to reclaim the supply train. The Confederates escaped. Early transportation routes helped the region develop. The East Shawnee Trail, an early cattle trail, followed the Grand River through present Mayes County. The Texas Road passed through, with two stage stops in the area. Two railroads provided services. The Missouri, Kansas and Texas Railroad was built in 1871–72, and was joined later by the Missouri, Oklahoma and Gulf Railway, whose "Golden Spike" was driven at Strang in February 1913. In 1841 the area now comprising Mayes County became part of the Saline District of the Cherokee Nation. The creation of Mayes County began with the constitution for the proposed State of Sequoyah in August 1905. The document designated forty-eight counties. Nine of these, including Mayes, became part of the state by the Oklahoma Constitutional Convention, effective at statehood on November 16, 1907. The county name honors Cherokee Chief Samuel H. Mayes. Pryor, or Pryor Creek, named for early trader and Indian subagent Nathaniel Pryor, became the county seat. The fertile soil of the Ozark Plateau and the climatic conditions of the Prairie Plains permit the cultivation of a variety of crops, including corn, soybeans, wheat, sorghum, and hay. The more rugged land is used for raising cattle and dairy farming. These agricultural activities played an early role in county history. 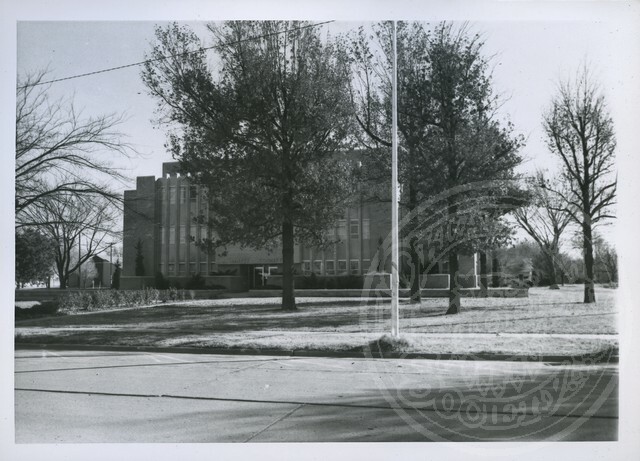 Beginning in 1941 the county's economy began to change with the creation of the Oklahoma Ordnance Works, a government-owned, DuPont-operated munitions plant located south of Pryor. Closed at the end of World War II, the facility remained empty for many years as prolonged negotiations took place to transform it into a center for industry. In 1960 the site became the Mid-America Industrial Park, and the manufacturing of paper, cement, fertilizer, and other products began to replace agriculture as the main economic activity. Mayes County is central to the Grand River Dam Authority (GRDA), created in 1935 by the Oklahoma Legislature for flood control and hydroelectric generation. The county contains GRDA's operation and maintenance headquarters, three dams with generating facilities (the Pensacola Dam, the Robert S. Kerr Dam, and the Salina Pumped Storage Project), and the GRDA Coal-Fired Complex, a thermal-generation facility. Interstate 44, the Will Rogers Turnpike, crosses the northwestern corner of the county. U.S. Highway 69 travels north and south in the western half, as does State Highway 82 in the eastern half. U.S. Highway 412 traverses the southern part of the county, State Highway 28 crosses the northern part, and State Highway 20 the central, all east and west. In 1910, 13,596 people lived within the county. The population increased each decade to 16,829 in 1920, 17,883 in 1930 to 21,668 in 1940. Numbers declined to 19,743 by 1950. From that date, the population 20,073 in 1960, 23,302 in 1970, 32,261 in 1980, 33,366 in 1990, and 38,369 in 2000. In 2010 the census counted 41,259, with 68.0 percent white, 21.4 percent American Indian, 0.4 percent Asian, and 0.4 percent African American. Hispanic ethnicity was identified as 2.7 percent. One of the county's most notable citizens was Willard Stone (1916–85), a Cherokee sculptor inducted into the Oklahoma Hall of Fame in 1970. Another notable citizen, Ben Tincup (1894–1980), born in Rogers County but raised north of Pryor, was an American Indian who played professional baseball. On June 18, 1917, he pitched a perfect game for the minor-league Little Rock Travelers. In 1982 Chouteau's Johnny Ray became the first Pittsburgh Pirate to be selected as Rookie of the Year by the National Baseball League. In 1976 Salina's Carl Belew was inducted into the Nashville Songwriters Hall of Fame for his award-winning country songs, which were performed by Charlie Pride, Jim Reeves, Waylon Jennings, and others. Mayes County is home to several public schools, Northeastern Technology Center, South Campus (vo-tech), and Rogers State University, Pryor Campus. There are six county properties listed in the National Register of Historic Places: the Farmers and Merchants Bank (NR 83002091) in Chouteau, the Territorial Commercial District of Chouteau (NR 83002093), the Pensacola Dam (NR 03000883), Union Mission Site (NR 71000668) near Mazie, Cabin Creek Battlefield (NR 71000669), and the Lewis Ross–Cherokee Orphan Asylum Springhouse (NR 83002092) near Salina. Kent Ruth, Oklahoma Travel Handbook (Norman: University of Oklahoma Press, 1977). Amanda Carney, "Mayes County," The Encyclopedia of Oklahoma History and Culture, https://www.okhistory.org/publications/enc/entry.php?entry=MA044.